This handy shower storage organizer features 4 shower liquids dispensers, a top shelf for additional storage, soap tray and handy hooks for razors and accessories. Installs in minutes. For permanent installation use waterproof silicone adhesive and 2-way tape (included), or for movable installation, use the snap-on shower arm hook and 4 suction cups (included). 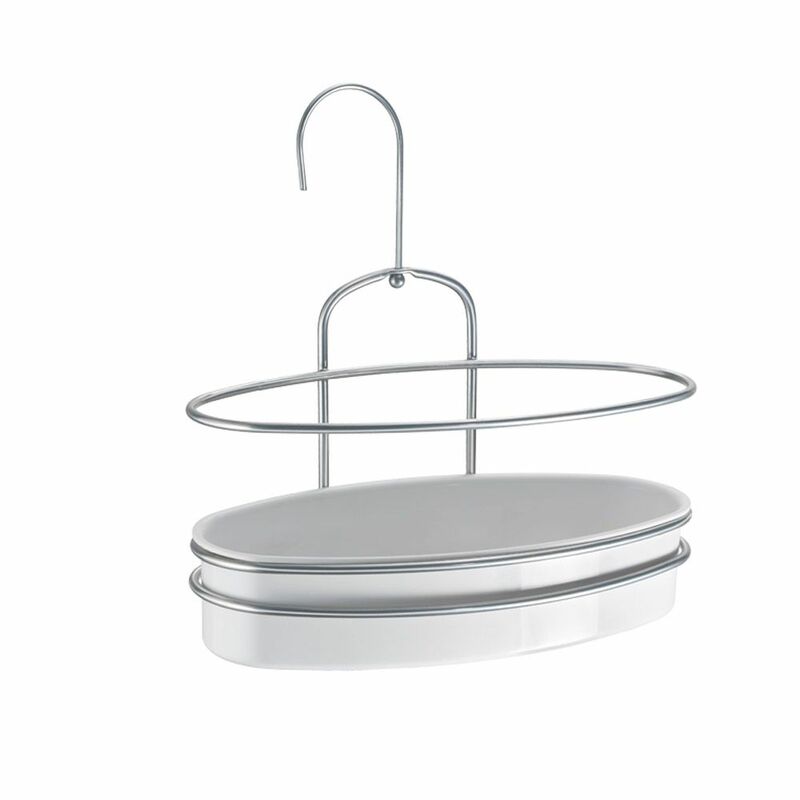 Orbit 1 Tier Shower Caddy Upscale design, maximum functionality and exclusive Chrometherm. coating, for this new line of bathroom accessories. ORBIT line, made up of different shelves with chrome look and practical ceramic-white plastic containers to store all kid of objects and bath products. Designed to be hung or simply placed wherever desired over the bathroom countertops.